Look at me, blogging twice in one day. WHO am I ? 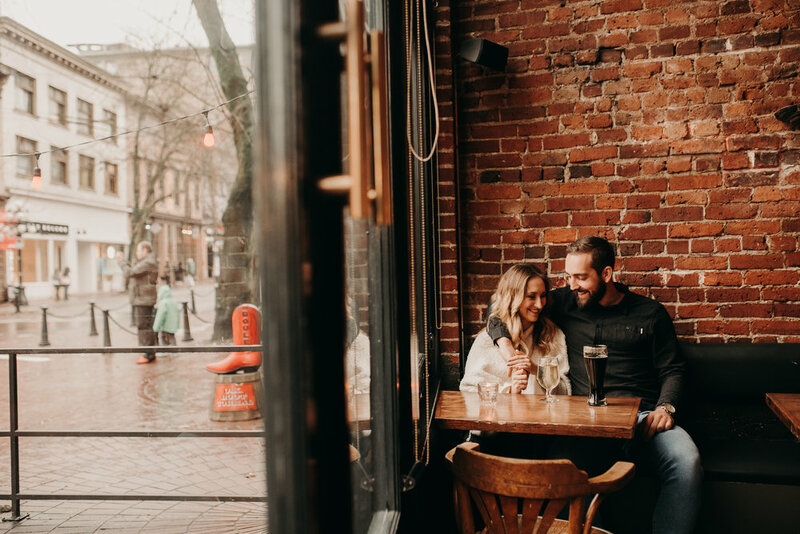 In January I had a few engagement sessions scheduled in Gastown, for couples that really wanted that urban vibe to their photos. 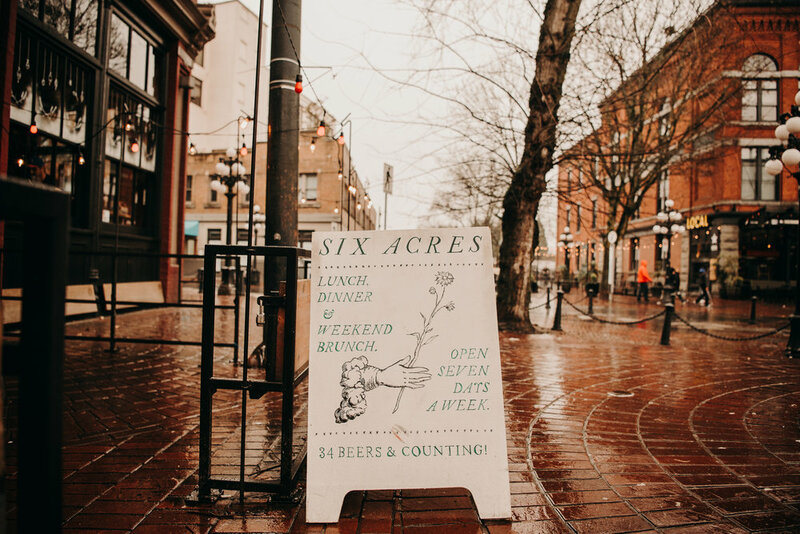 I loved the change of scenery -- as much as I LOVE the wild landscapes of the Sunshine Coast and lower mainland of BC, it was fun to shoot in a different location! 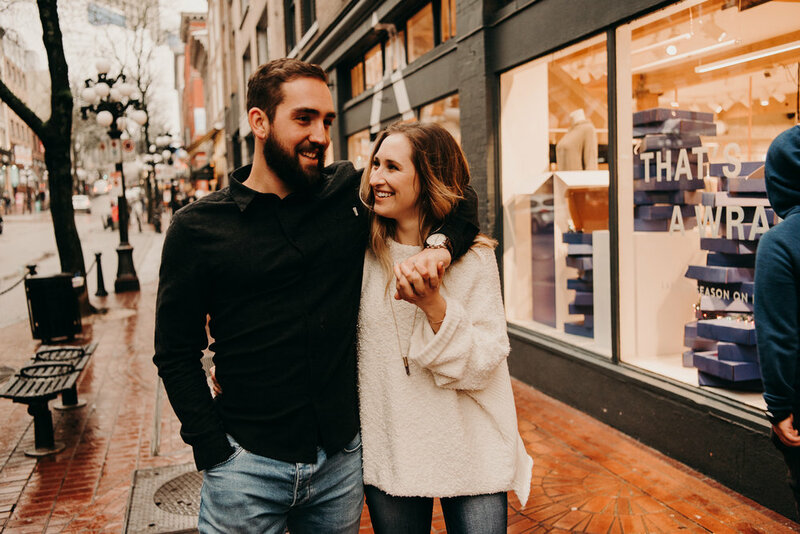 I traveled in on the ferry from the Sunshine Coast to Vancouver to photograph Amanda & Eric's downtown engagement session. The vibe they wanted was true to them -- they wanted to meet and have a beer, chill and just be themselves and I am alllll about photographing you in your element. Plus, grabbing a beer before a shoot doesn't hurt, am I right? 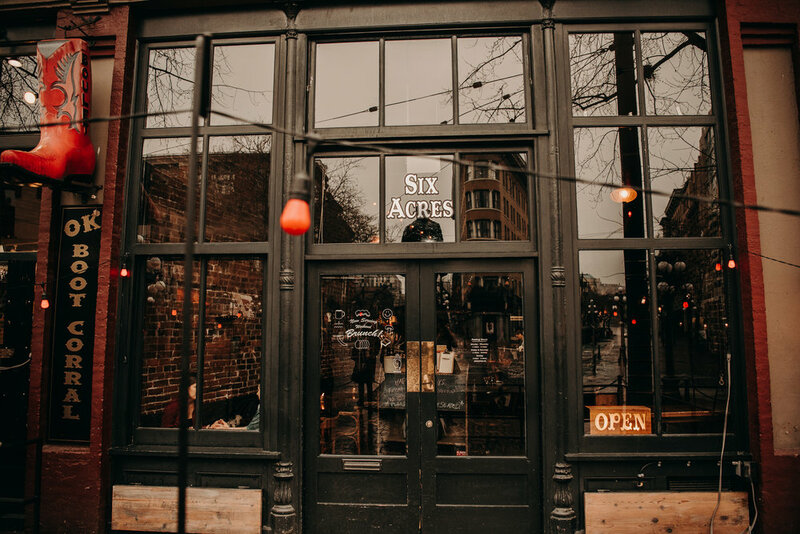 We met at Six Acres Cafe for a brew and then headed to Blood Alley to start of their shoot -- yes, this is one of my favourite spots in Gastown to shoot. I just can't help myself around red brick walls! 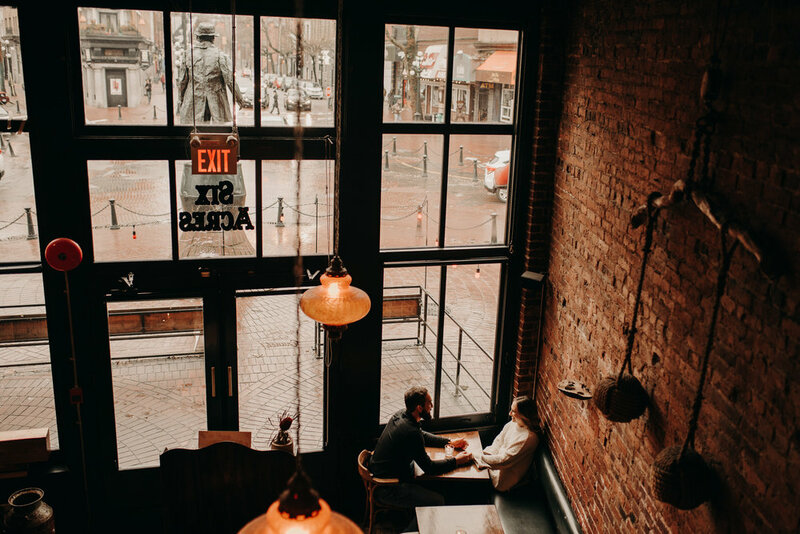 We walked up and down the streets of Gastown, laughing and chatting about their beautiful Victoria wedding coming up this May! 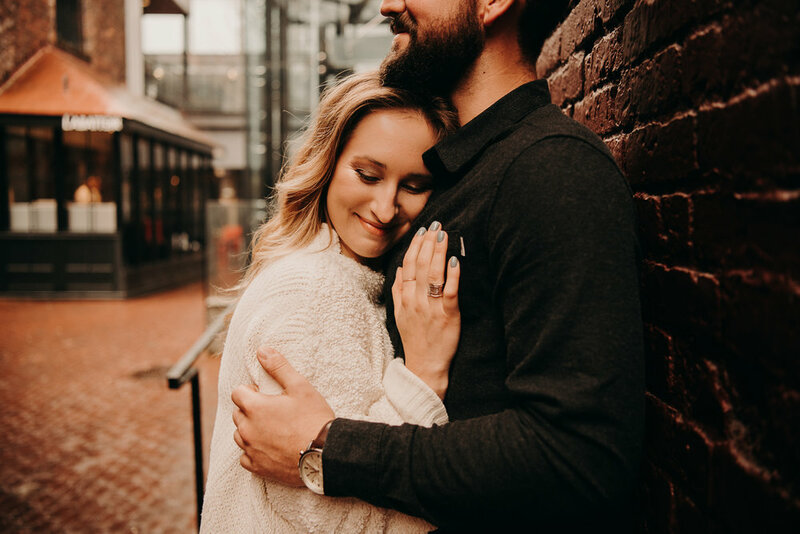 I had such a blast getting to know them better and I can not wait to photograph them on their wedding day!